You have been invited to quite a few parties this holiday season and there are still a few more scheduled out or maybe you are hosting a gathering. I hear you! Same here. My mom always emphasized on not arriving with our hands empty. It’s always better to give than receive and since we were already receiving something from the hostess, why not give her (or him) something thoughtful in return. Think a bottle of wine, a basket of special items they will enjoy or a homemade gift, like an ornament. Is your mind going a million miles per hour coming up with ideas? I know, I know!!! Because giving is always better than receiving here are more ideas, some of my favorite hostess gifts. Overall, these are a few of my favorite things. 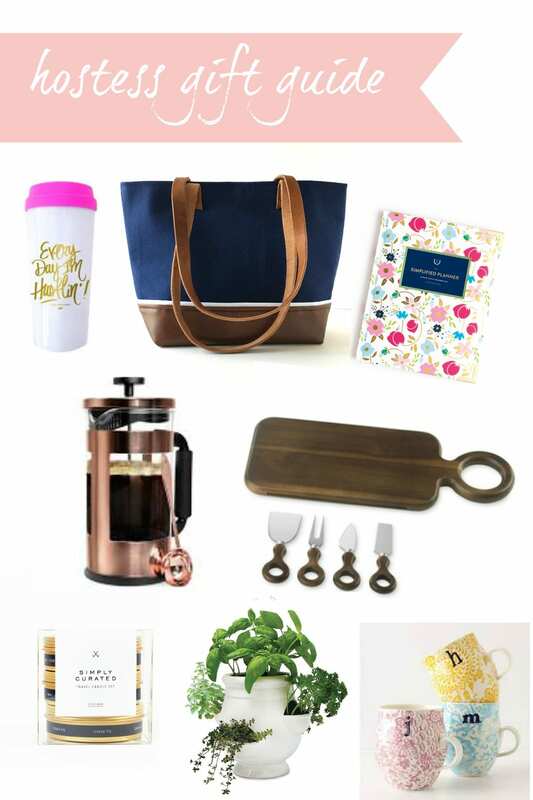 The planner I am currently using from Emily Ley, my favorite everyday tote bag from my collection, my ultimate candles from Simply Curated, and if you’re like me and you can’t function without coffee or wish to grow your own herbs then you’ll definitely love the rest of this gift guide. And what about that cheese board? It’s stunning. Above all, enjoy the holidays and remember to give some love to your hostess. Do you take with you a gift for the hostess? Share some of your ideas here with me. Can’t wait to see what you love to give and/or receive! I loved your article and the gift ideas. The images are too pretty. A bottle of wine sounds like a perfect gift to me. Keep up the good work coming in. this is literally my favorite gift guide ever! the coffee mugs are so cute and so is the cheese board. I might have to invest in some of these items 😉 great post! This is a delightful post. 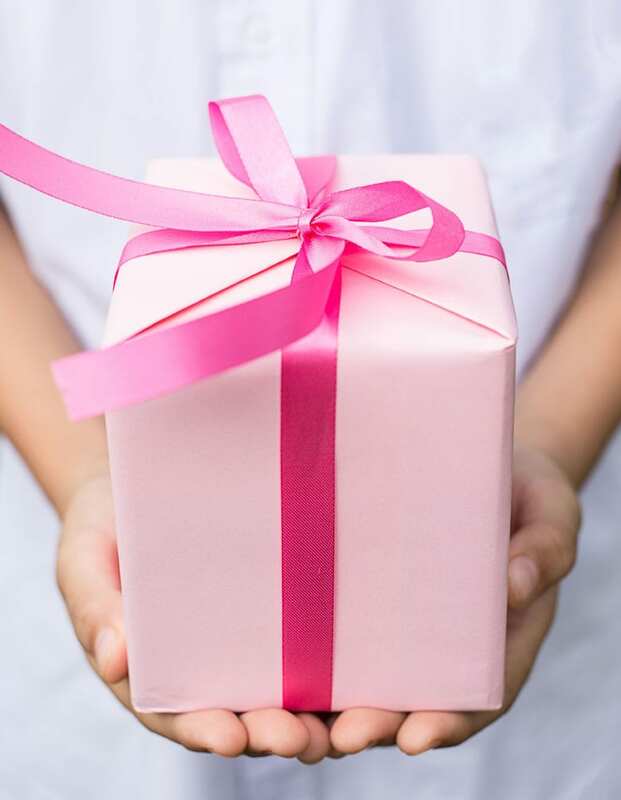 Good ideas for gifting. Also love the colors, layout of your blog, and of course the pics. Love your ideas, I would love any sort of jewellery or perfumes plus any drink would be highly appreciated. THese are great hostess gift ideas! My favorites are the cheese board set and the mugs! Both are super cute gifts. I love a good set of cup or teacups for my home. It’s very useful for my usual tea time. We had similar post but indeed these are also great gift ideas!! Great work!! People often forget to treat the host! I love all of your ideas. Such a great and timely post. Its a terrific idea. I mean who can turn down a bottle of wine. And those coffee mugs look great! Keep up the great work! What a pretty gift guide! Hostess gifts are some of my favorites. Oh this is a such a great gifts ideas! I always love to have new cups. Nice gift ideas! I`m inlove with the travel mug! I never go any where empty headed. These are some wonderful and creative gifts!